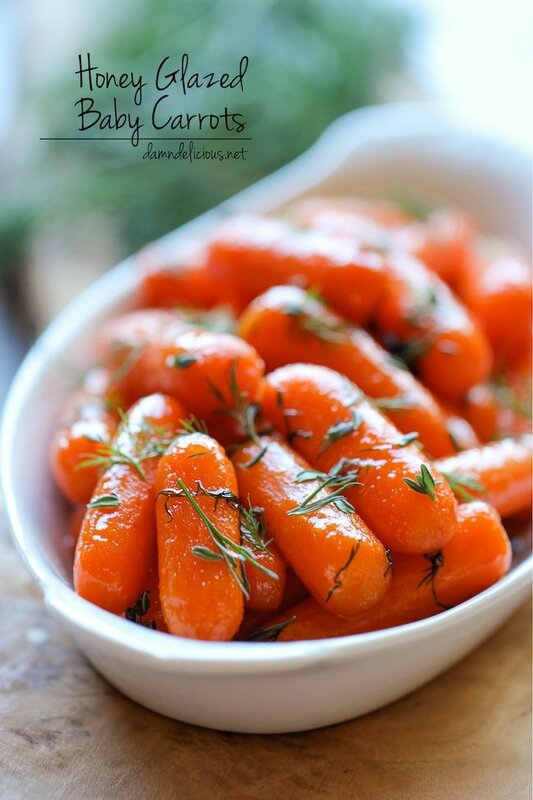 It only takes 15 minutes to make these Honey Glazed Baby Carrots from Damn Delicious, and they’re the perfect side to brighten up your Thanksgiving table. 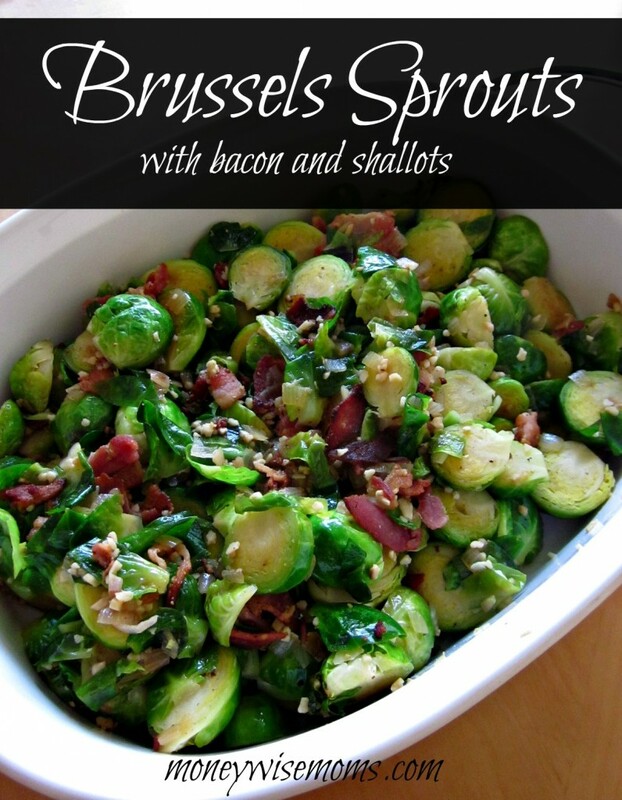 If you’ve never tried Brusssels Sprouts before, why not try them with bacon! 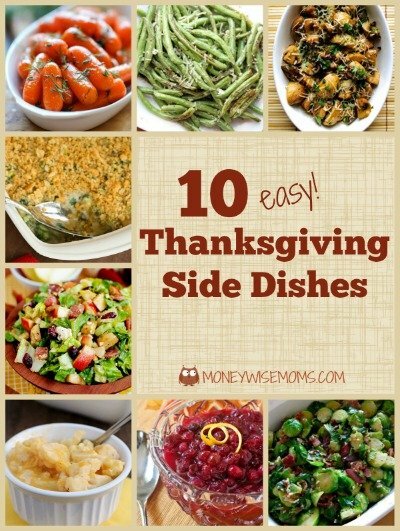 My kids ask for this dish year round, and it’s become a regular at our Thankgiving table. 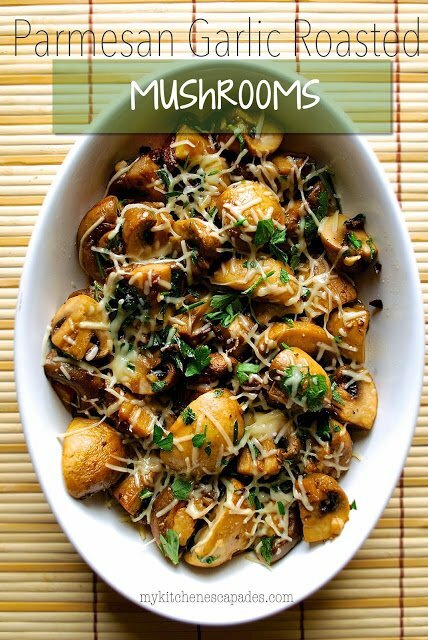 These Parmesan Garlic Roasted Mushrooms from My Kitchen Escapades are so quick to prep, then you can put them into the oven to roast for 20 minutes while you’re letting the turkey rest. Easy peasy! 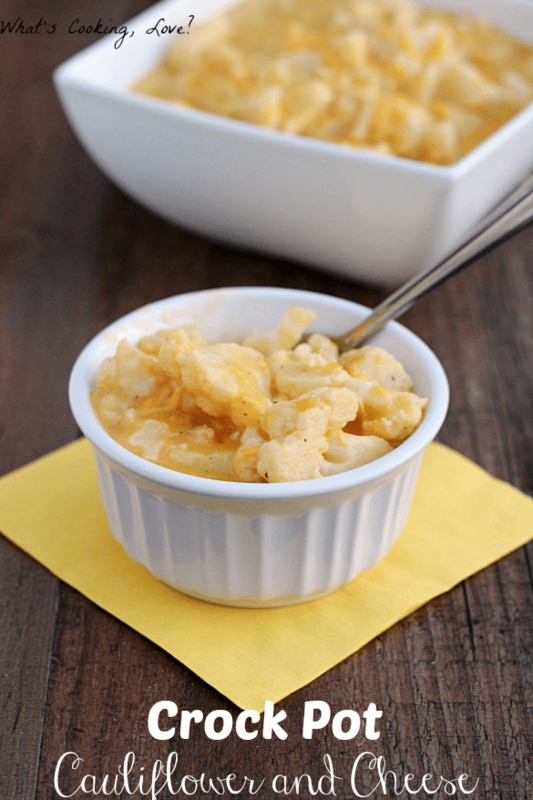 This easy, 4-ingredient Crockpot Cauliflower & Cheese recipe from What’s Cooking, Love? can be made in the slow cooker, which frees up space in the oven for other foods. 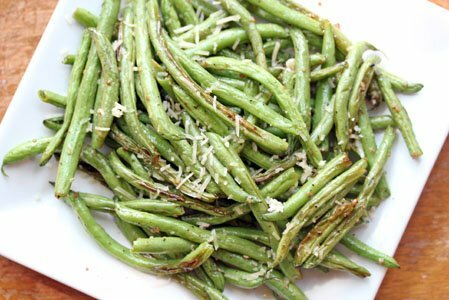 With only 8 minutes oven time, you can make these Oven Roasted Garlic Green Beans from $5 Dinners right before serving the meal. They have an unusually delicious caramelized sweetness. 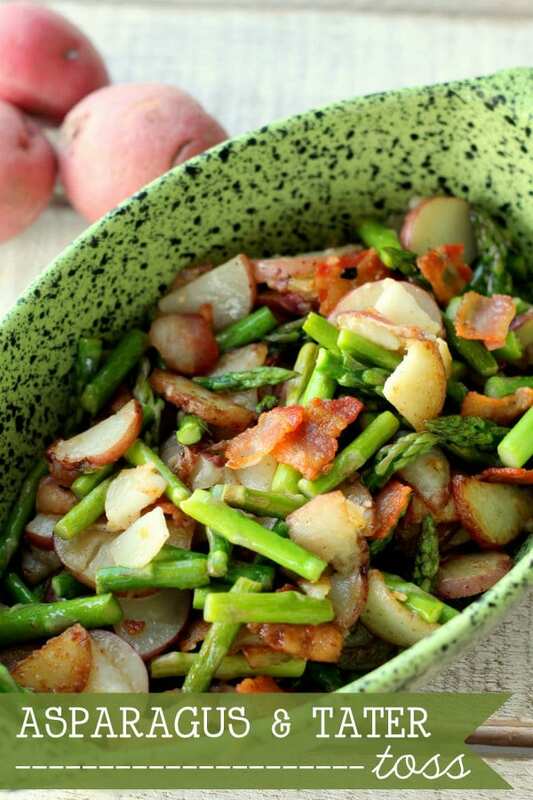 If you’re looking for lighter fare than traditional mashed potatoes and stuffing, this Asparagus and Tater Toss from Lil Luna is just right! It’s quick to make with tiny fingerling potatoes. 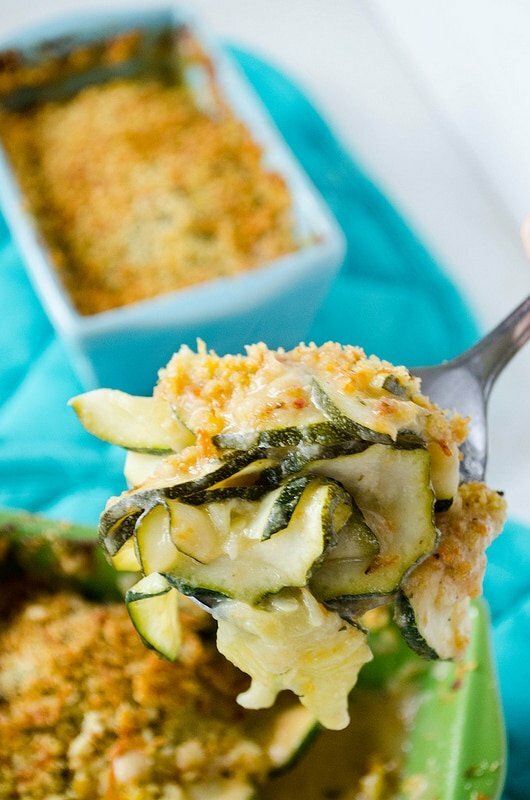 Since cheese makes everything better (according to my family), this Zucchini Gratin from Cooking ala Mel would make a great side. It’s a healthified version that uses Greek yogurt instead of cream cheese, which means extra tang. Yum! For years now, we’ve enjoyed having a salad at Thanksgiving to contrast the heavy turkey, gravy and mashed potatoes. 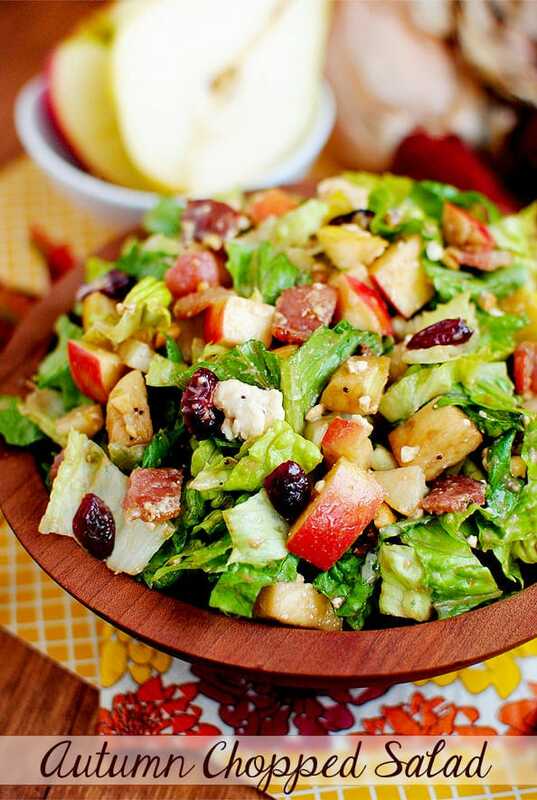 This Autumn Chopped Salad from Iowa Girl Eats has a great combination of flavors–apple, pear, cranberry, feta and bacon (we skip the peanuts because of allergies). I’m the only one of the five of us who likes cranberry sauce, and it’s a MUST for my Thanksgiving dinner, so each year I try a new recipe. 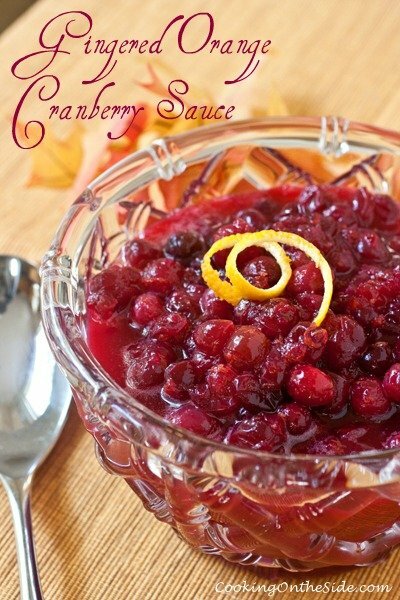 This Gingered Orange Cranberry Sauce from Cooking on the Side has my favorite combination of flavors–ginger and orange to cut the bitterness of the cranberries. Many years ago (before kids), a delicious broccoli casserole was brought to Thanksgiving dinner by our friend Joe, and became a tradition ever since. 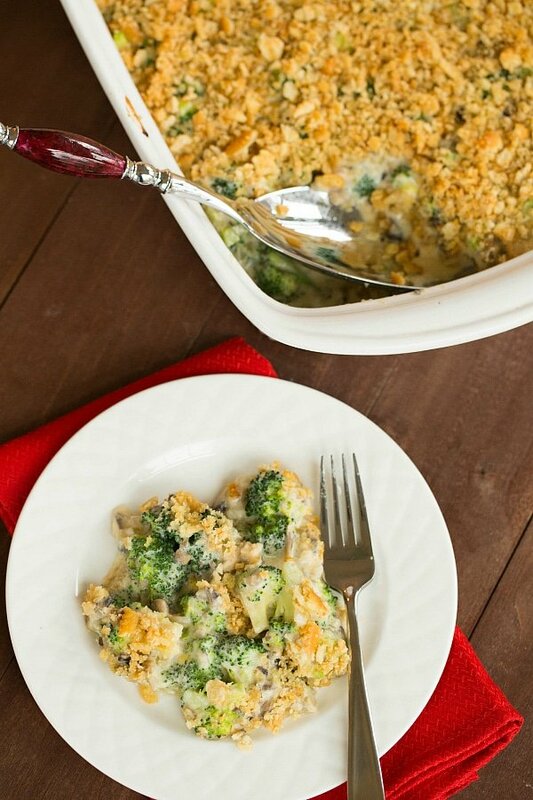 I like this revised version (with no cream soup) of Broccoli Casserole by Brown Eyed Baker. Linked up to Tasty Tuesdays at Creative K Kids, SITS Girls Linky Party, Made By You Monday at Skip to my Lou, In and Out of the Kitchen at Feeding Big, and Weekend Bloggy Reading at Serenity Now. MMMMMMMM…. these look so good! I love all of the traditional options at Thanksgiving, and these are traditional-with-a-twist. I’m definitely going to add some of these in to our family favorites this year. This is such a great round up! That orange cranberry sauce looks amazing! Thanks so much for linking up to Creative K Kids Tasty Tuesdays. I’m pinning this to the Tasty Tuesdays Pinterest Board. We would love to have you join us again this week!